This is a great Lawyer image. 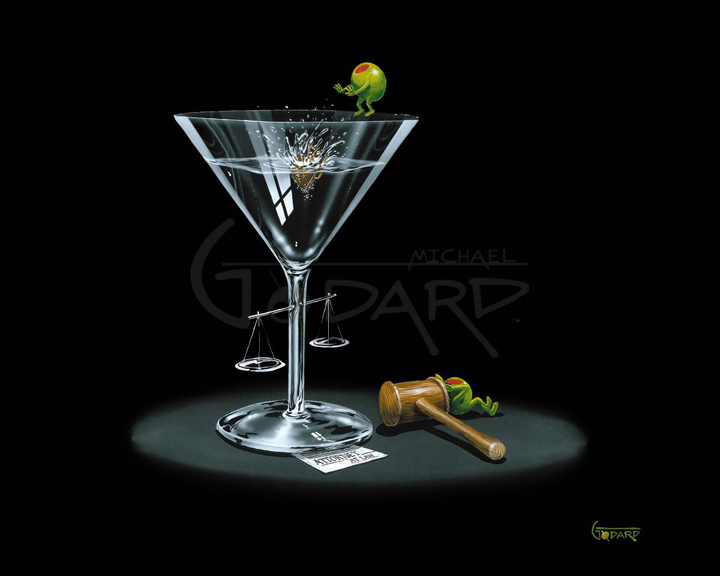 The Olive on the rim of the glass has lost the case and he is tossing his briefcase into the Martini. The other Olive who won is kicked back behind the gavel. The scale of justice is blown into the glass.